Every year is jam-packed with conferences, forums and festivals, and I have spent enough time sifting through numerous event programmes for this year. 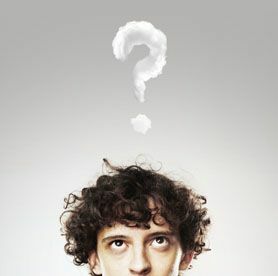 There are plenty of opportunities to learn about new trends and techniques, discuss the future and network with peers, but which major events are worth your time (and money)? Here’s my pick of must-attend business, digital and tech conferences in 2015. This list covers events in London only, taking place between March and May. The London Enterprise Festival brings together business leaders to share their experiences and stories on this year’s theme, starting and growing a business. Perfect for any company owner, director or manager wondering how to identify trends in their industry and grow in the current business climate. LEF covers various industries over 9 days. From gaming and fashion to education and wellbeing, there is a discussion or workshop for everyone. By having each day very focused on its theme, you have a much better opportunity to connect with the right people and take part in relevant sessions. Bonus points for a feel good factor. The organisers are committed to reinvesting the profits to providing free digital courses to unemployed and subsidising workshops and events that make better entrepreneurs and more powerful networks. The Internet of Things is aimed at technologists, entrepreneurs, innovators, industry leaders and managers. Recommended for futurists and those interested in breakthrough technology and cutting-edge science that will shape our future. It sounds very ominous, but with 200 leading innovators you will explore trends that promise to positively impact our lives and society. Experience two days of revolutionary discoveries, leading research and new technologies with university researchers, Paul Clarke (Ocado) and Jeremy Green (Machina Research). You can get a taste for what to expect at a casual IoT meetup event that’s taking place on 28 February in London. If you are looking for something smaller and more intimate, then have a look at a one-day Pipeline Conference. The conference has a more informal feel to it with talks and sessions focused on continuos delivery. The keynote speaker is Linda Rising, an international Agile thought leader, who will discuss the myths and patterns of organisational change. Other speakers will be selected anonymously and announced on or around 23 February. Bonus points for their fantastic commitment to 50/50 gender diversity and donating the profit to after school coding clubs. The Chief Digital Officer Forum has an impressive speaker line up that consists of senior digital professionals from global brands. Organised by the Innovation Enterprise, this summit is aimed at anyone with background in digital, analytics, ecommerce, social media and innovation. There are plenty of opportunities to take part in interactive workshops, network with attendees and discuss the future of digital. Join hundreds of other digital leaders at CDOF to hear from experts like Will Burns (L’Occitane en Provence), David Martin (Coca Cola Enterprises), James Keady (Samsung) and others. BriForum London is a highly technical conference dedicated to the best practices of end user computing, cloud, desktop virtualisation, security and application management. Keynote speaker is Brian Madden, one of the brains behind this event, but we are yet to hear about other speakers and exact topics covered. Nevertheless, BriForum promises to deliver informative two days with high profile speakers and attendees. 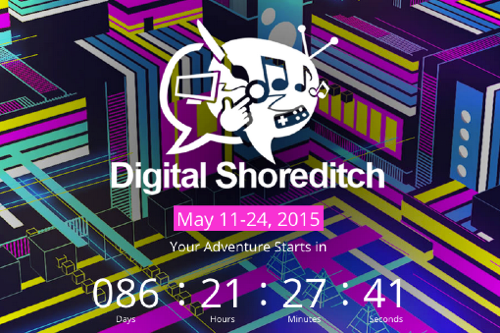 Digital Shoreditch is the trendiest event on this list. It’s a vibrant festival that attracts creative, tech and entrepreneurial people, makers and doers, and others in between. Digital Shoreditch is on for two weeks and with hands-on sessions, cosmic parties and amazing speakers it promises to be one of the biggest digital community events. The full programme is yet to be announced but seeing that Mark Earls (HERD), Rory Sutherland (Ogilvy & Mather UK) and Jeremy Waite (Salesforce) are on the speaker line up, I have no doubts there will be other inspiring people joining them. Bonus points for their visionary look and feel, and Twitter profile photo. 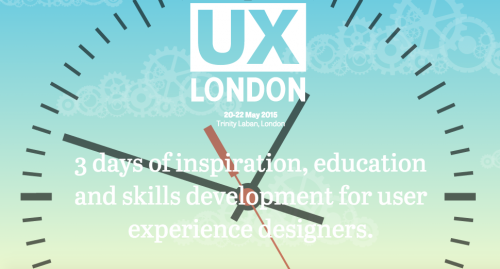 Organised by design consultancy Clearleft, UX London 2015 brings together inspiring UX speakers and practical workshops. The conference is focused on a different theme each day and is aimed at product, web and user experience designers. On day 1 explore the secrets of product design with leading experts, such as Des Traynor (Intercom), Julie Zhuo (Facebook) and Jeff Patton (independent consultant, Agile coach and author). On day 2 improve your understanding of human behaviour and user experience by hearing from Cecilia Weckstrom (LEGO) and taking part in Sketch workshop with Meng To. Day 3 is platforms day. Learn about the latest design trends for mobile, desktop and smart TV, and join workshops and talks on responsiveness, wearable tech and designing for different screen sizes. What other conferences and events have you marked in your diary? Leave a comment below or send a tweet @LittledataUK.